The 2015 American Society for Quality (ASQ) Edwards medallist has been actively carrying out Operational/Business Excellence strategy for more than 18 years. Azman Shah Mohamed Noor is the first recipient from the Asian region to be awarded the prestigious medal since 1963, after Kenichi Koyangi from Japan, placing his achievements to the likes of world’s renowned quality leaders including Armand Feigenbaum and Joseph Juran. It is presented to individuals who have demonstrated outstanding leadership in the application of modern quality control methods, especially through the organization and administrations of such work. A passionate continuous improvement champion & practitioner, Azman Shah has managed, trained, coached, facilitated and contributed to the knowledge and growth of hundreds of individuals. With the background of aviation engineering, he is an American Society for Quality (ASQ)-Certified Six Sigma Black Belt and is a Certified Master Black Belt from Lean Applied, an ASQ affiliate service provider. 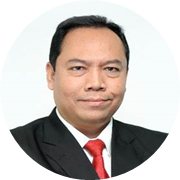 Throughout his professional career, he has driven the Quality, Lean Six Sigma (LSS) and Innovation deployment in numerous corporations such as General Electric, Lufthansa Technik, Petronas Berhad, Maybank, Malaysia Airport Berhad and Sime Darby Berhad. He has supervised projects that have won 1st Place at Permodalan Nasional Berhad’s Innovation and Quality Award in 2011, 2012, 2013, 2014, 2015 and 2016. In addition, Sime Darby’s Quality and Innovation project team won the Silver Award and Best Environmental Project in the 2017 ASQ International Team Excellence Award in North Carolina, USA. The Silver Award marked the first for Sime Darby after three consecutive years qualifying as international finalist, and also second time in Malaysia’s history to win such a prestigious award at the global stage. Along the way, he contributed to hundreds of individuals’ knowledge and career growth. He trained and advised professionals specifically in Operational/Business Excellence and LSS who continue to spread productivity philosophies in Malaysia. To date, 6 Deployment initiatives, 175 Champions, 5 Master Black Belts, 98 Black Belts and 350 Green Belts from various industries have been trained and coached by him. In addition, Azman has led Sime Darby’s Lean Six Sigma Business Management Strategy Deployment achieved a declared accumulated benefits of more than USD 200 million in 2017. · Tactical deployment alone is no longer sufficient for Operational Excellence. A holistic deployment builds the Strategic, Tactical, and Cultural together. What does this mean to the organisation? · Strategic stewardship is having clear vision and committed action. How can you align your strategy to business goals? · Tactical development is all about building people. What does sustainable tactical development look like? · Cultural transformation is a change from within. Where do you start and what mechanisms are there to explore? Check out the incredible speaker line-up to see who will be joining Azman Shah.